There's a moment in every hot rod builder's project where the decision has to be made, what color? In the real world this can be put off and agonized over for most of the project, and consequently make or break it. Imagine having spent years building a car, only to screw it up at the last minute with a terrible paint job. In the LEGO world, that decision has to happen quite early, and can also have dire consequences. Depending on color, finding the parts you need can be quite challenging. 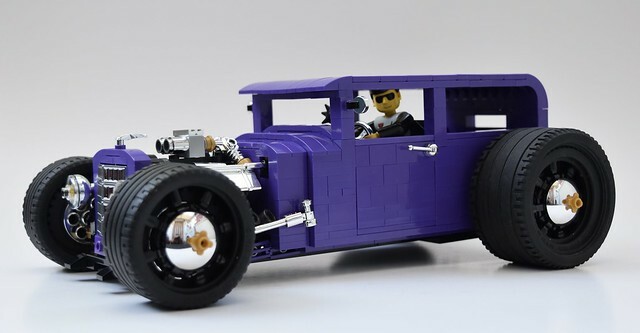 So I'm always impressed with a rare color choice, and this purple beast by builder redfern1950s2, is a real eye catcher. 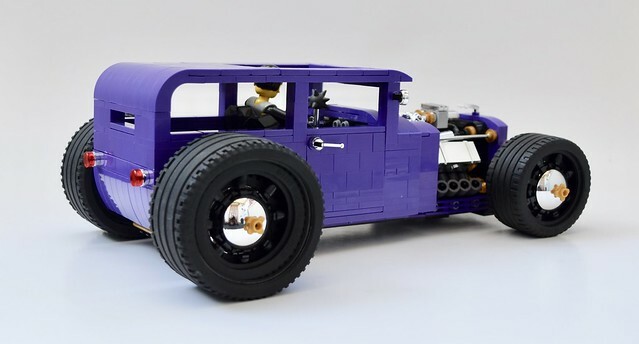 Of course purple isn't as rare as it used to be, but it's still very limited in part choice, which makes this hot rod all the more impressive.